Total peace-of-mind: An accurate, timely quote and a rock- solid written guarantee. 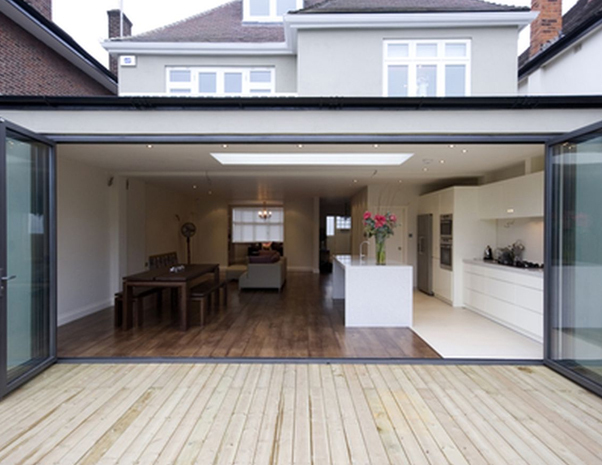 You’ll know in advance the full extent of the work we’ll carry out and have a realistic project time-frame. And when we get to work, it’s done with a minimum of fuss or inconvenience to you or your family. Offer much more than exceptional floor polishing and sanding services; you’ll receive honest, down- to-earth advice based on our industry experiences as a company dating back to 1948. Calculated accurately by our friendly sanding team following a close inspection of your existing flooring. While we’re inspecting the floors and looking for solutions for you, we’ll gladly help you out with any questions you might have. The choice of the ideal finish for your timber floor will come down to a decision based on one of four broad categories of finishes; oil-based, composite, solvent-based polyurethane or water-based. Your experienced Apex Floor Sanding professional will recommend the ideal finish for your particular requirements and explain why in plain English. DRYING TIME: 6 – 24 hours.Oil-based finishes include varnishes and traditional tung oils. These generally require more maintenance than some of the other kinds of finishes. But they have become easier to look after, with the use of acrylic floor polishes.Special Notes Over time you’ll notice oil-based finishes darken; a professional floor sander who has extensive experience will help you greatly in selecting the right colour oil-based finish for your floors – taking into account the anticipated colour change. DRYING TIME: 6 – 24 hoursComposite finishes contain oil-based alkyds and urethanes. ‘Alkyds’ are a class of polyester coating derived from the reaction an alcohol and an acid, whilst ‘eurethanes’ are a colourless or white crystalline compound. Together they form a finish with good resistance to abrasion. When your applicator applies a ‘composite finish’, you’ll notice the odour is quite strong, however as it dries the odour quickly dissipates. Composite finishes are ideal where a satin to semi-g1oss appearance is your goal.Special Notes You can expect your finish to darken over time. In high traffic areas you may need to apply a more frequent maintenance regime.To protect your finish we recommend acrylic floor polishes. DRYING TIME: 4 – 18 hoursIf you require a ‘harder’ finish, the so-called solvent-borne polyurethane range of finishes are ideal, and are available in every option from matt right through to a very high gloss sheen. These finishes offer a very high level of abrasion resistance meaning they’re tough – and ideal for those floors in high- traffic areas, particularly for young families.Special Notes You should know that the during the actual application process, you can expect a particularly strong odour, but it dissipates as the finish dries. DRYING TIME: 1 – 6 hoursWaterbome Finishes are an increasingly popular finish. They emit a lower level of odour than your other options, you will achieve fine results in a range of finishes from matt through to gloss and offer a good to high level of resistance to wear. Generally your applicator will first lay down a solvent or water-based sealer to reduce the risk of ‘edge-bonding’. Edge-bonding is when the finish acts as an adhesive. The boards’ edges literally bond together.Special Notes When floor boards shrink rapidly, light coloured lines may appear at the board joints. No matter what service you require! Cork and Parquetry Flooring Installations. Only quality products from respected industry brands such as Toby Coatings, Cabots, Feast Watson and Polycure – products that look great and last for years. Apex is also privileged to be one of only a handful to be honoured as a ‘Toby Approved Applicator’ in Brisbane. We accept Cash, Cheques, Mastercard, Money Order, Visa, Amex and EFT.